With the announcement of a new 9.7-inch iPad with Apple Pencil support which primarily targets the education market with its $429 CAD price, Logitech has unveiled a new $49 USD Digital Crayon for the new iPad, that promises to put art and handwriting within the reach of more schools (via Engadget). The new Digital Crayon accessory is only compatible with the 6th generation iPad and does not work with any of the iPad Pro models. 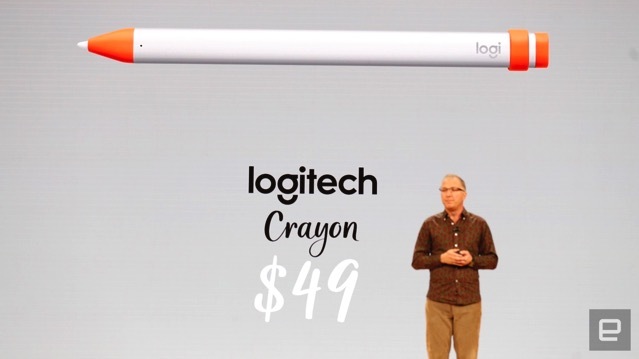 Logitech claims its crayon has low lag, offers tilt support and sub-pixel precision, has an 8-hour battery life, and does not require pairing to get started. 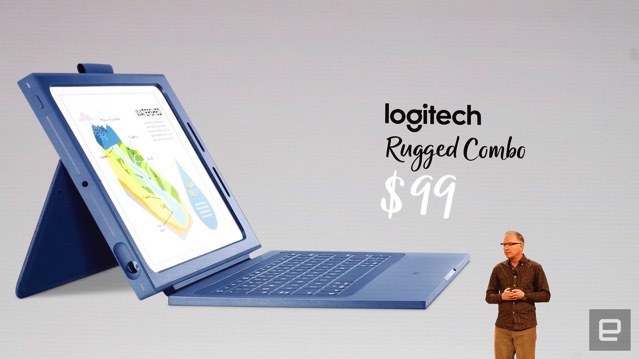 In addition to the crayon, Logitech is also releasing a $99 USD Rugged Combo 2 case for the iPad that includes a detachable keyboard and a slot for the stylus. This should both make the iPad feasible as a laptop and help it survive the inevitable tumble or two. That makes the iPad/Rugged Combo pairing decidedly pricier than a Chromebook (you can easily find educational Chromebooks under $300), but Apple and Logitech are no doubt betting that the touch-native interface will be worth it in some classes. It must be noted that if Apple has started allowing Pencil alternatives for the iPad, we might see more third party stylus options coming soon in near future.